One of the newest BB brand on the airsoft market, and sure to be a huge hit. These BB's are as close to a perfect 6.00mm as you can get. Rather than keeping their bb's in a flimsy, hard to handle and reseal bag like other brands, Elite Force BBs come in an easy to handle and easy to store bottle so you don't have to worry about a bag tipping over and making a mess. 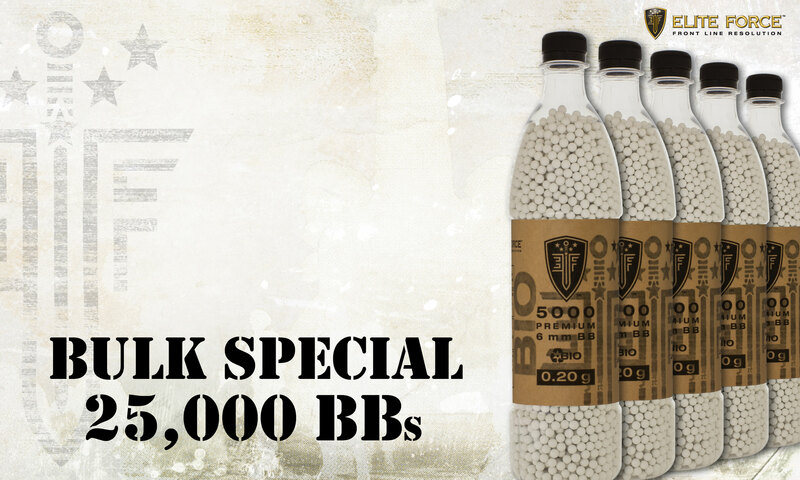 The well known Elite Force BBs are now available in a bulk package. If you were to purchase each individual bottle separately, you would be spending much more.